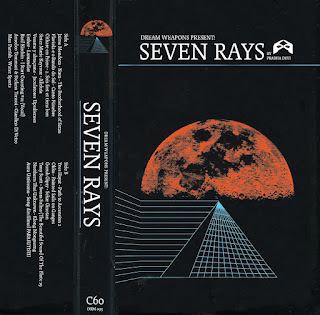 SEVEN RAYS is an odd mix for the time of year, but one can't be happy all the time. Its a reflective mix drawing on occult/religious/spacey/jazz tracks from all corners of the web. Put it on in your living room and lie down, start working your way through a nice bottle of crisp white wine and by the end you should be feeling better regardless. Thanks so much for the comment Brian, and the link! Happy listening. You got me very excited when I saw I Start Counting, a favourite of mine for many years... those sublime guitar licks in the opening sequence (who was the guitarist?). The soundtrack recently got a reissue on Trunk, and it’s very highly recommended! Side A is working very nicely!! Thanks Rex.. it is indeed a beautiful song! I threw it in there to lighten the mood a bit. Hope you enjoy Side B too. Thanks once again, oops, we can correct the mis-spelling. And yes, the Carmelite Nuns are up to some magic up there. We had another song of theirs on the Episodes of Insect Life mixtape. Okko is complimenting the journey, until quite unexpectedly, he takes a left turn towards the rapids! Awesome reading your comments Rex. All of us have some form of terror and panic when putting together mixtapes because you never know how it will be heard through other peoples ears. Of course we dont expect anyone to like ALL the stuff we do, or every song on a mix, but if its at least a journey or a chance to discover a few new songs then its all worth it! Please don’t panic about how your mixes are received!! Again, thanks so much for your continued support and comments. They really provide inspiration for us to keep doing this. Super happy that you find some songs on the mixes that you really like!